Mallorca is the largest of the Balearic islands offering an array of diverse locations from the traditional village of Deia to the cosmopolitan Port d’Andratx. The island is renowned as an artist’s paradise for its stunning scenery as well as a foodie’s haven due to the abundance of Michelin star restaurants and local hidden gems. Mallorca appeals to everyone from families with children, couples and groups who enjoy cycling and walking. 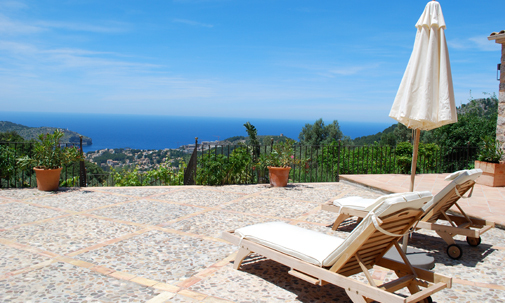 We have an extensive range of luxury villas in Mallorca across the South West, Deia, Pollensa and Soller regions, as well as some scattered throughout the countryside, each showing that Mallorca has so much more to offer than its stereotypical hedonistic reputation would suggest. The South West of Mallorca really is a region of contrasts, from the laid-back glamour of Port d’Andratx yacht club and the array of excellent seafood restaurants in and around the port, to the tranquility, mountain scenery and quiet seaside of inland locations like Calvia, S’Arraco and Es Capdellà. Tee off at the the 18-hole Championship golf course of Andratx Golf Club, catch some rays at the pretty and quiet Cala Falco beach or indulge in water-based activities like snorkelling – it’s all possible in the South West. In the west of Mallorca, you can find Soller, a gorgeous rural town situated between the mountains in a valley of orange groves. It’s a day tripper’s paradise and a particularly great stop-off point for outdoorsy activities like hiking, road cycling and mountain biking. Another taste of Mallorca can be found at Deia, the village of shuttered, ochre-coloured dwellings at the foot of the Teix mountain which is, for many people, the best’ that Mallorca has to offer. Deia has enjoyed a reputation as a bohemian artists’ colony since the English poet and novelist Robert Graves set up home here in 1932. To this day, Deia remains a great place to enjoy some of the finest restaurants in Mallorca, or to simply enjoy the stunning scenery. Another fine place to spend many an hour is Pollensa, the gorgeous rural town situated near the Tramuntana Mountains in the north of Mallorca that simply begs to be wandered around. Pollensa is the perfect-sized Mallorcan town, feeling intimate and yet still large enough to keep you continually stimulated. Sift through the Placa Major’s Sunday market stalls, revel in the various fairs and fiestas that take place throughout the year or sample the fine Italian cuisine on offer at the much-frequented Italian restaurant, Il Giardino. Pollensa is also one of the most family-friendly resorts one could wish for, while also benefiting from a pretty port area, wide beaches and excellent golfing. 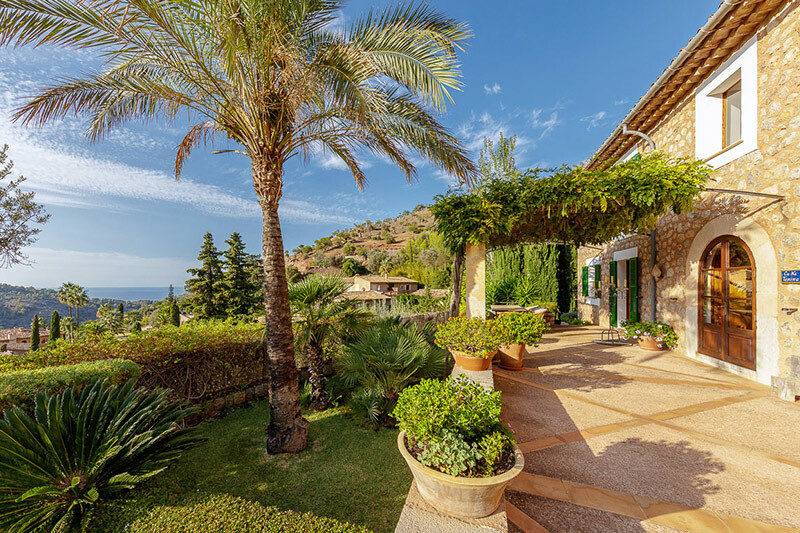 If you are left a little bit stuck for choice, and we don’t blame you, feel free to contact our friendly team – either via phone or email – for more insight into our complete selection of luxury villas in Mallorca. We’ll be only too happy to assist you in making the right choice for your own needs and desires.